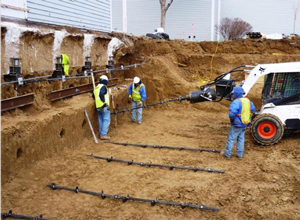 Soil nailing is a method of earth retention that relies on reinforcing strands or members installed within a soil mass to create an internally stable gravity wall/retaining system. Soil nail wall technology began in Europe with use of the New Austrian Tunneling Method in rock formations in 1961. The technology then carried over to applications involving unconsolidated soil retention, primarily in France and Germany. Soil nail walls were first used in North America for temporary excavation support in the late 1960’s and continued to gain recognition and acceptance during the 1970’s and 1980’s for higher profile projects including highway applications. Much of the soil nail wall research performed in North America was funded by the Federal Highway Administration (FHWA) and other state highway agencies during the 1990’s. 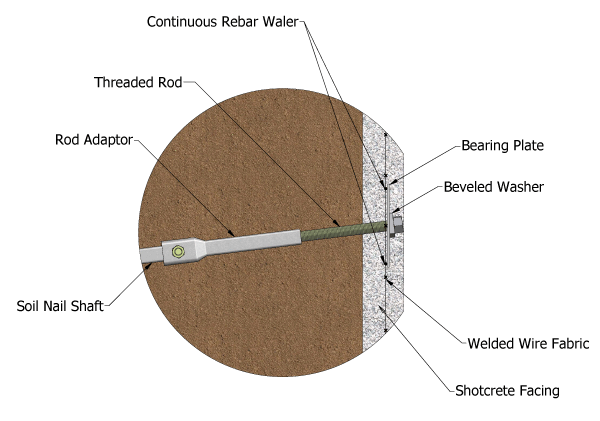 Although helical piles have been used as tiebacks since the early 1950’s, helical soil nails are a relatively new alternative to their grouted counterparts. Soil nail walls are more economical than conventional concrete gravity walls and are often more economical than tieback walls due to reduced wall facing requirements. There would likely be more soil nails than tiebacks for a given project, but this additional cost for the nails is outweighed by the difference in cost of a shotcrete facing versus a more substantial soldier pile, sheet-pile, or reinforced concrete wall detail. Soil nails are typically shorter than tiebacks for similar wall heights so there will be reduced right-of-way (ROW) requirements. There is less impact to adjacent structures since soil nails are not installed with vibratory energy like soldier piles or sheet-piles. Overhead clearance requirements are less than driven soldier pile or sheet-pile wall construction. Soil nail walls can therefore be installed easily below bridges or other structures. There is no need to embed structural elements below the proposed ground surface elevation on the low side of the soil nail wall. Soldier pile and sheet-pile walls require minimum embedment depths for wall stability. Soil nail wall construction is typically quicker than other earth retention methods. Soil nail walls can be constructed in remote areas with smaller equipment. 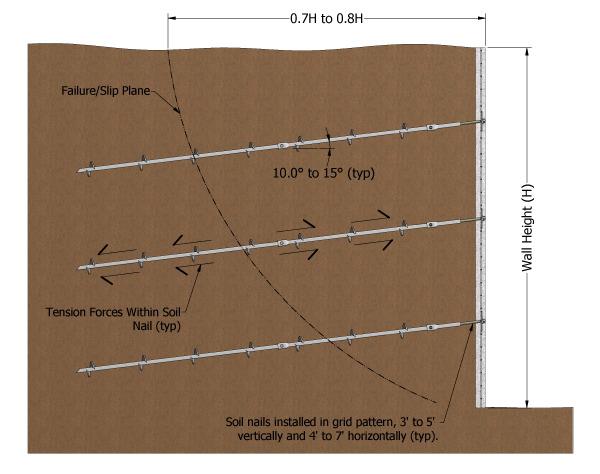 Soil nail walls have performed well during seismic loading events due to the overall system flexibility. A helical soil nail typically consists of square shaft lead and extension sections with small diameter (6 to 8 inches) helix plates spaced evenly along the entire shaft length. 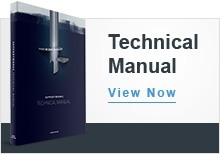 The helical soil nail is installed by application of torque, similar to the installation of a helical tieback. The helical soil nail is a passive bearing element, which relies on movement of the soil mass and active earth pressures to mobilize the soil shear strength along the nail. In contrast, a tieback is pre-tensioned to mobilize the soil shear strength around the helix plates. Excavation, soil nail installation and application of wall facing is completed in steps from the top of the wall downward. After shotcrete has cured, repeat sequence for successive rows of soil nails. Continue process to the final design depth (wall height).